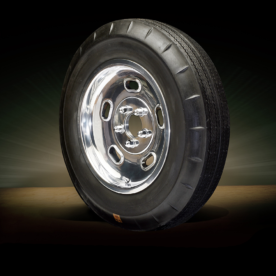 Our 15 x 4 1/2 Small Kidney Bean, with full show polish front and rear, mounted on vintage Hurst tire. 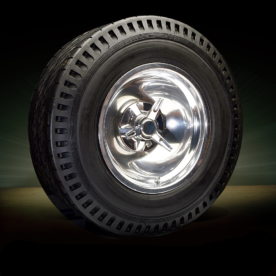 Our 16 x 10 Original Sprint, show polished both sides, shown with our optional tri-bar knockoff deep pitch, mounted on a vintage Hurst pie crust tire. 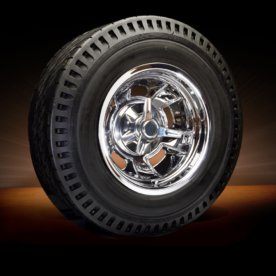 16 x 10 Smoothie, full show polished, with our optional rear Tri-bar knockoff mounted on vintage Hurst tire.